2018 - The tax credit for wood and pellet stoves was not extended for 2018, after expiring in December 2017. Efforts are underway by AGH and others to bring it back for stoves purchased in 2019. If it were to be approved in 2019, AGH in conjunction with energy efficiency organizations advocate that stoves must have an efficiency rating of 73% or greater on the list of EPA certified stoves to be eligible. 2017 - Congress passed a budget bill including a 2017 extension of the tax credit for wood and pellet stoves. The stove credit is for $300 for stoves purchased up until Dec. 31 2017. Taxpayers do not have submit receipts with their taxes. They just have to keep in their records the sales receipt and the declaration from the manufacturer stating the stove is eligible. Most manufacturers have a list of stoves which are eligible on their website. If you can't find it, call them. In previous years, taxpayers used IRS Form 5695 but this extension was passed at the last minute and it appears that Form 5695 has not been updated. Nevertheless, the IRS confirms here that high efficiency stoves that use biomass fuel qualify and we know that online service such as Turbotax are integrating the new changes as fast as they can. There is a $500 limit is a lifetime limit for all energy efficiency property, including insulation, doors, windows or other wood or pellet stoves. So, if a taxpayer has claimed $300 in previous years, for example, they could only claim $200 on their 2017 taxes for a qualifying stove. 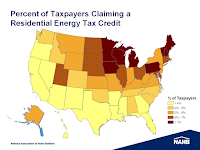 The tax credit can also apply to wood and pellet boilers and furnaces. Many manufacturers claim that their stoves are 75% efficient for purposes of the tax credit, when in fact they are in the 60s or low 70s. Just because the manufacturer says the stove is eligible for the tax credit, don't assume you purchased a higher efficiency stove, much less one that is over 75%. However, as long as you have a certificate issued by the manufacturer saying your model is eligible, you can claim the tax credit. For more on this topic, click here. Other heating and cooling equipment had far stricter qualification standards to ensure that consumers got a tax credit for a genuinely more efficient appliance or item. The 2014 tax break cost taxpayers about $42 billion. The tax credit for stoves alone is not likely to cost more than $50 million and that’s if a majority of people who bought stoves learn about the credit and take it on their tax return. the credit for wood and pellet stoves. However, stove manufacturers often mislead consumers into thinking they are buying a stove that is at least 75% efficient when in fact it may be in the low or mid 60s. Manufacturers are allowed to self-certify which stoves are eligible for the credit and some appear to ignore any common sense definition of the Congressional language which stipulated requiring a stove "which has a thermal efficiency rating of at least 75 percent." The Alliance for Green Heat is calling on HPBA and stove manufacturers to publicly support and abide by a policy of only recognizing the average, overall efficiency of stoves based on third party testing at an EPA approved lab. Currently, some manufacturers will self-certify a stove to be eligible for the tax credit if it reached 75% efficiency on only one of its 4 burn rates. Others self-certify that their stoves are eligible when the stove did not reach 75% efficiency on any burn rate. The Alliance for Green Heat supports tax credits and other incentives that focus on the cleanest and most efficient stoves. However, he federal tax credit has no criteria for grams per hour and virtually all stoves have claimed to be at least 75% efficient, minimizing the underlying intent of a tax credit. The American Council for an Energy Efficiency Economy (ACEEE) has also called on Congress and the IRS to define and enforce the 75% efficiency eligibility limit. We will update this blog as it becomes more clear which companies are self-certifying stoves at 75% efficient when they may only be in the low or mid 60s. To be sure that you are buying a higher efficiency stove, check the EPA's list of certified wood stoves, and choose one that with an actual, verified efficiency. There are many non-cat stoves over 70% efficiency and many catalytic and pellet stoves over 75% efficiency. Unfortunately, if you are buying a stove in 2018, there is no guarantee that you will be able to get a tax credit for it. Congress may make the credit retroactive again in 2019, but then again, they may not. For more background on the wood heater tax credit, click here. thus qualify for the $300 tax credit. Feb. 9, 2018 - Today President Trump signed into law a budget deal that included a one year, retroactive extension of the wood heater tax credit for 2017. Thus, consumers who bought stoves that are presumptively 75% efficient or higher may qualify for a $300 tax credit on their 2017 taxes. Stoves purchased in 2018 or 2019 are not covered. 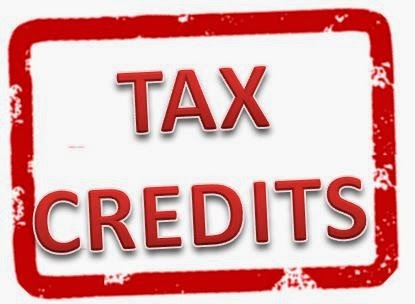 Click here for more detail on the 2017 tax credit extension. Nov. 18, 2016 - Republican leaders on Capitol Hill say they do not intend to consider a tax extenders bill, that could have extended the $300 tax credit for wood and pellet stoves into 2017. Currently, that credit is set to expire on Dec. 31, 2016. 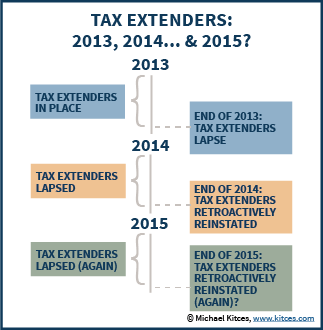 Next year, a tax reform package could revive a wood and pellet stove tax credit, and make it retroactive to Jan 1, 2016. Renewable energy and energy efficiency incentives appear less likely under a Trump administration with both houses of Congress controlled by Republicans. A $300 tax credit for stoves was not significant enough to really tip the scales for that many consumers, and when it did they were just as likely to buy a very low efficiency stove, due to misleading advertising by most stove manufacturers claiming that nearly all of their units are 75% efficient. This loophole that industry created has diminished support for the stove tax credit among key energy efficiency groups and may reduce its chances of being included in a bill in 2017. Dec. 18, 2015 - The United States Congress passed a massive omnibus spending bill to fund the government and provide tax breaks to businesses and individuals. Among them is the $300 tax credit to purchase a wood heating appliance. The bill extends that credit through Dec. 31, 2016 and is retroactive to Jan. 1, 2015. In a far more widely anticipated move, Congress extended the 30% tax credit for residential solar PV panels through 2019 and then gradually reduce it. This credit was set to expire at the end of 2016 and offers that industry a level of support and certainty for strong growth. For wood and pellet heaters, the bill extends the $300 tax credit, contained in Section 25C of the IRS tax code, which states taxpayers are entitled to a $300 tax credit for the purchase of a wood or pellet heating appliance that is 75% efficient or greater. Consumers need to obtain a certificate from the manufacturer, stating that the appliance is qualified for the credit. For consumers who purchased a wood or pellet stove in 2015, or who will do so in 2016, they will likely be entitled to the $300 credit if they have not used up their $500 lifetime maximum credit for energy efficient property. Wood and pellet stove manufacturers routinely mislead the public by claiming that virtually every single stove they make is at least 75% efficient, flouting the letter and intent of the law, which was to only qualify stoves at 75% efficiency or higher. As of May 15, 2015 all stoves and boilers certified in the US are tested for efficiency using the CSA B415.1-10 efficiency test. 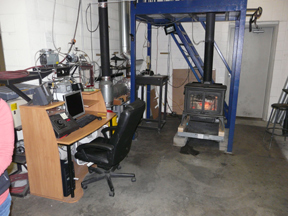 This efficiency test provides a guideline for how to test and not all stoves will achieve an efficiency of 75%. “Higher efficiency wood and pellet heaters deserve renewable energy incentives to help American families reduce reliance on fossil fuels and to encourage companies to build higher efficiency appliances,” said John Ackerly, President of the Alliance for Green Heat, an organization that advocates for wood and pellet heating. “In the past, some in industry has made a mockery of this tax credit, misleading tens of thousands of consumers into thinking they are buying higher efficiency stoves. Its time to start measuring efficiency and reporting it honestly and only qualifying those heaters that are 75% efficient or higher,” Ackerly said. The Alliance for Green Heat estimates that a third of all wood and pellet stoves could meet the 75% efficiency threshold, giving consumers a wide range of choices. Appliances that are 75% efficient using the European lower heater value (LHV) are usually between 69 – 71% efficient using the North American higher heating value (HHV). A leading industry expert, Rick Curkeet concluded in a 2008 letter to an industry trade association that "the intent of the solid fuel appliance incentive program recently enacted by Congress is ... to require a minimum of 69.8% efficiency." Stove manufacturers are now required to disclose their efficiency and more than a quarter of all EPA certified stoves now have actual, verified efficiencies posted on the list of EPA certified stoves, A few stove companies, such as Blaze King, Jotul, Kuma, Seraph, Travis, Woodstock Soapstone publicly disclose actual efficiencies of most of their models on the EPA website and almost all of those models appear to qualify for the tax credit. However, other manufacturers still list one efficiency with the EPA, but maintain another efficiency definition that allows them to claim their stoves are 75% efficient to qualify for the tax credit. Unlike other heating and cooling appliances, prior to May 2015 wood and pellet heating appliances did not have to test or report efficiencies and there are still few accepted norms on advertising practices. Websites and promotional materials of many major stove brands contain exaggerated efficiency claims, some of which may come from the company’s internal laboratory, not from a reputable, third party lab.